Are you still running Windows 7? 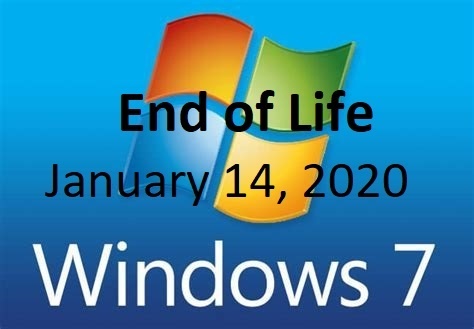 If you are, here is another reason to upgrade to Windows 10 as soon as possible: Microsoft will officially end support for Windows 7 on January 14, 2020. Microsoft has been pushing and recommending users upgrade to Windows 10 for some time now, given it includes many security upgrades, productivity and feature enhancements not available in the older Windows 7 OS. “After 10 years, support for Windows 7 is coming to an end on January 14, 2020,” Microsoft said in the announcement and FAQ page. Beyond that date, devices running Windows 7 will no longer be able to get security patches and software updates to address vulnerabilities. Users running systems with older operating systems like Windows 7 will be at greater risk of viruses and malware infections that could lead to compromise of your system and/or theft of your data. Microsoft provides guidance on how to backup your data to prepare for the Windows 10 upgrade, as well as tips to find the latest Windows 10 PCs and learn more about the Windows 10 features. As readers are likely aware, there any many lessons learned from previous cyber and ransomware attacks, such as WannaCry, Petya and many others, that target older unsupported operating systems.